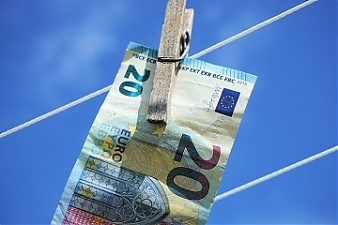 The Estonian government Cabinet tasked the government committee working in the Ministry of Finance to draw up proposals by October on how to improve the fight against money laundering, informs LETA/BNS. According to Prime Minister Juri Ratas, there has to be zero tolerance for money laundering in Estonia. "In recent years the rules against money laundering and terrorist financing have become stricter. Today's regulation differs greatly from the time when large-scale suspicious transactions were carried out. It is important that cooperation between the state and financial institutions continues," he said. According to Finance Minister Toomas Toniste, Estonia's public institutions have taken big steps to reduce risks and to help the banking sector be trusted. "For instance, in the case of Danske Bank's money laundering suspicions, the 2014 and 2015 activities of the Financial Supervision Authority played an important role in the bank being forced to end the risky non-residents' business. At the same time the necessary information was forwarded to the Danish supervision authority," he said. According to a decision by the Cabinet, the government committee for combating money laundering and terrorist financing is to draw up additional proposals to combat money laundering and increase the accountability of financial institutions. Head of the board of the Financial Supervision Authority, Kilvar Kessler, head of the Police and Border Guard's financial intelligence unit, Madis Reimand, and Prosecutor General Lavly Perling provided an overview to the Cabinet of the fight against money laundering and proposals. As a result of the work done by the Financial Supervision Authority, in the past five years the share of risky non-residents in the financial system has fallen. According to the financial intelligence unit, the number of suspicious transactions has also considerably declined by now. The Public Prosecutor's Office has launched a criminal proceeding to investigate possible money laundering suspicions in the Estonian branch of Danske Bank until 2015. The Estonian Financial Supervision Authority handed a precept to the bank in connection with insufficient risk control already in 2007.